On his 32nd death anniversary, hark back to an explosive evening of music and rebellion. Faiz’s most famous nazm (poem) got both the writer and the singer in trouble. The year was 1985. A packed auditorium in Lahore, with more than 50,000 in attendance. It’s the first death anniversary of Faiz Ahmed Faiz. A woman dressed in a black saree - attire outlawed by Pakistani dictator Zia-ul-Haq - takes the stage and starts singing a nazm. There is immediate commotion in the crowd. By the time, the singer hits the crescendo, the restless audience is already incited to passions of rebellion. Action is swift. The lights are switched off; the microphone is disconnected. It’s pitch dark. But she doesn’t stop as if her life depends on it. Defying the authorities, the audience stands with the singer -singing with her till the poem ends. A riotous situation prevails. The woman was none other than Iqbal Bano, one of the most beloved singers of Pakistan. The nazm was Hum Dekhenge, penned by the most celebrated and yet revolutionary poet of Pakistan - Faiz Ahmed Faiz. According to reports, Iqbal Bano was later banned from singing anywhere in Pakistan. Several members of the audience were rounded up and quizzed, with some even being detained. Military police hounded and raided the homes of several members of the audience many days after the event. The recording was smuggled out and distributed on tapes across the country. The performance has achieved iconic status. It gives me goosebumps even to imagine that evening. That one single act of bravery, subversion, and resistance proved to be a beacon of hope for the Pakistani people reeling under the heavy-handed regime of military dictator Zia-ul-Haq. It was the victory of resilience and persistence, it was the victory of popular voice against the tyranny of a despot. Faiz clearly stands with the oppressed throughout the poem and against exploiters and oppressors. He says that "mountains of injustice" would be “blown away like cotton". The day would come when the ground would beat like a heart below the feet of the poor and oppressed, and lightning would thunder over the head of those in power. Insurmountable mountains of injustice and oppression will evaporate into thin air. Drawing heavily on Islamic imagery, Faiz deals with injustice and oppression. He writes that the idols would be thrown away from the Kaaba and the pure-hearted will be honoured. The crowns of those in power will be tossed about. He directly criticises Zia’s regime and its authoritarian style of functioning, eventually exhorting people to overthrow the tyrannical regime through the poem. To this day, Faiz lives on as his ideas and writings continue to inspire and spur millions of oppressed throughout the world. His thoughts are as relevant today as they were half a century back. Faiz’s words seem prophetic and ring true when contrasted against the tumbling of dictatorships across the Arab world. The revolutionary poet was never one to toe the official line. The immortal lines of Hum Dekhenge were written in 1979 after the religiously conservative and repressive Zia rose to power through a coup in 1977. Hum Dekhenge is a thinly-veiled effort to criticise the dictatorship. Not surprisingly, he was a frequent jail bird. He wrote openly against military regimes; he was a staunch critic of the government’s actions in East Pakistan (now Bangladesh) when the country was being ruled by General Yahya Khan. He was jailed for the infamous Rawalpindi case by Liaquat Ali Khan’s government in 1951 and stayed there till 1955. In 1958, he was again detained by President Iskander Mirza, for allegedly publishing and promoting pro-communist ideas. 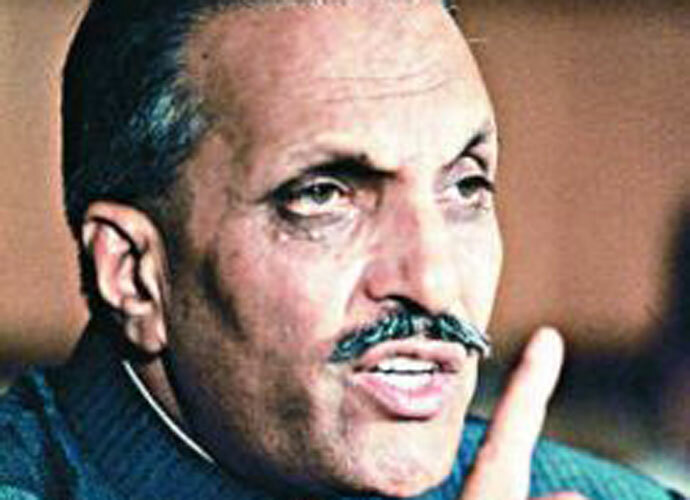 Even during Zia’s years, he was under constant monitoring. But none of these tribulations ever perturbed him. In fact, Faiz always thought of his prison stays as periods of enlightenment. The writer is a theatre activist, film critic and blogger who wants to bring harmony in society. Music, poetry and food are his passions.